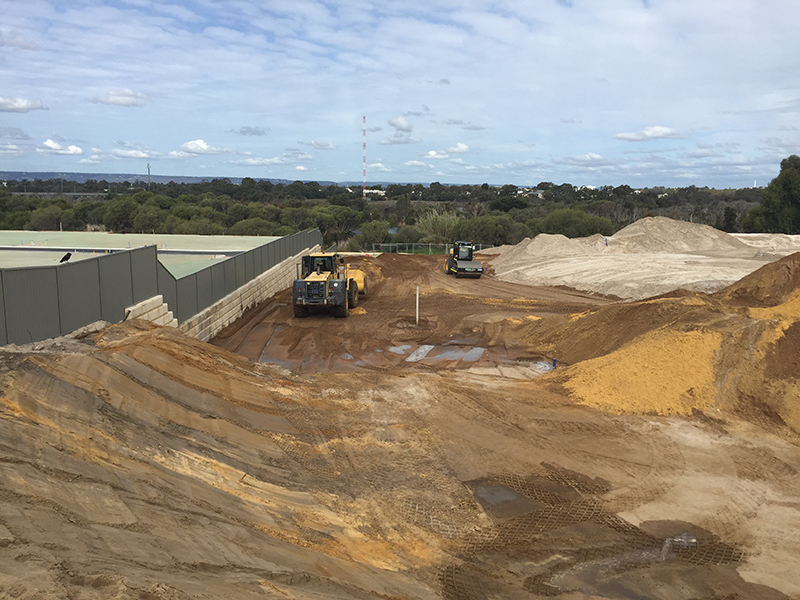 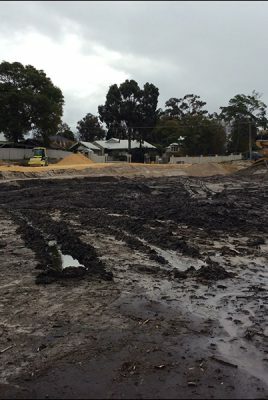 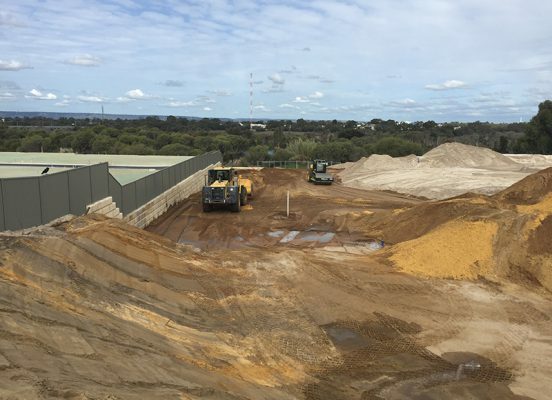 MGC Civil was engaged to deliver the forward earthworks at Lot 6&7 Stone Street Bayswater, this included site clearance, which involved clearing the entirety of the site including 2 house demolitions, removal of ~ 3,000m3 of acid sulphate spoil, bulk earthworks with an import fill 22,000m3 to achieve the final levels. 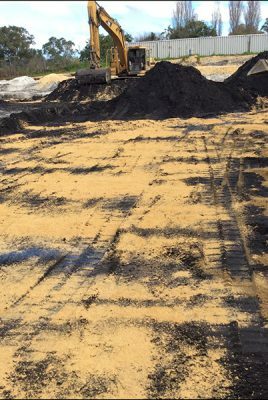 When you talk about possible complexities in a project, Stone Street had them all. 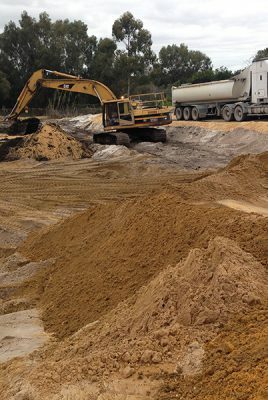 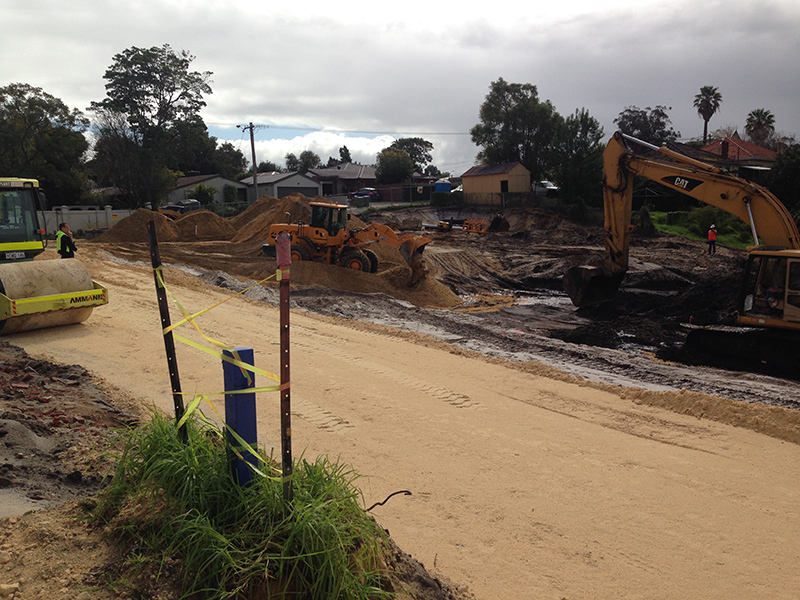 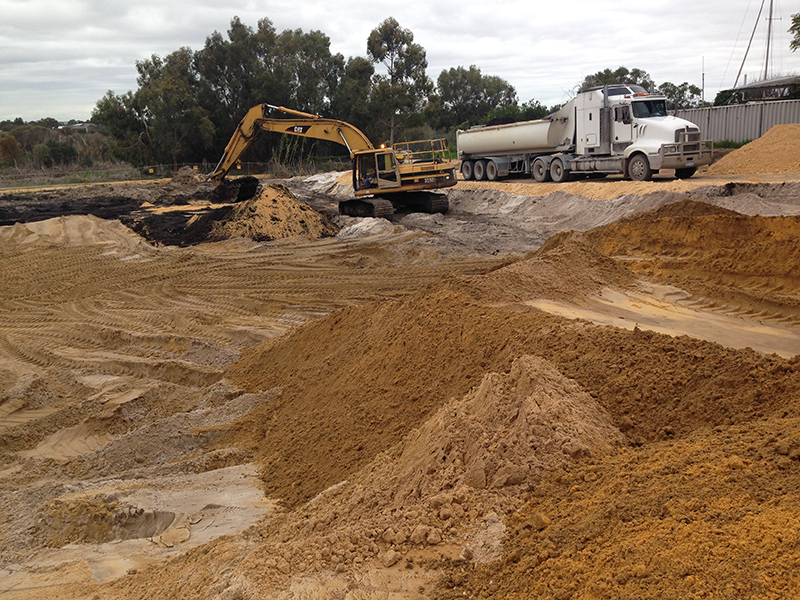 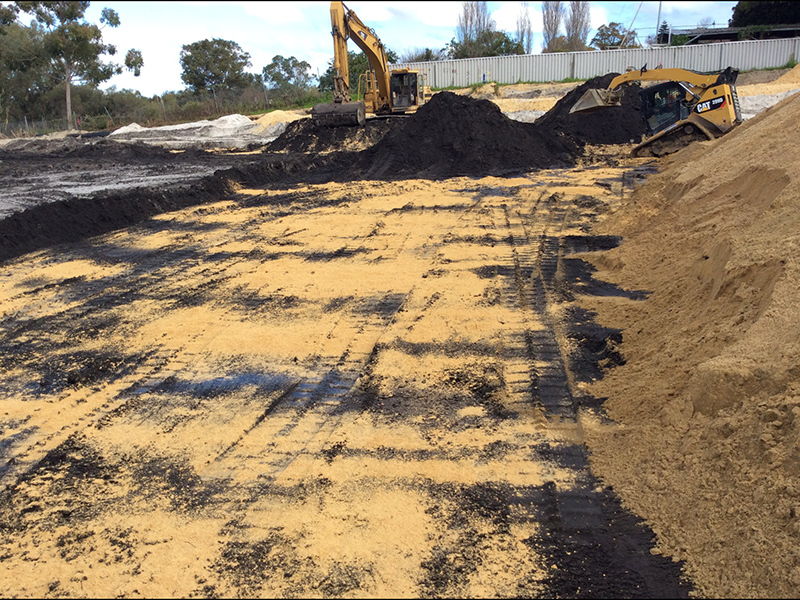 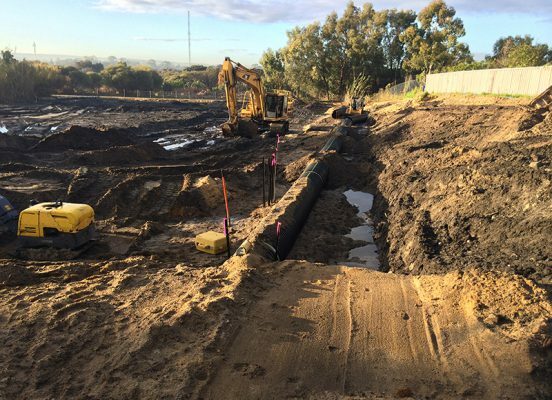 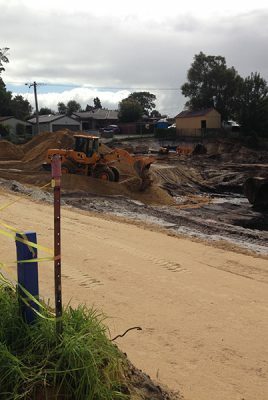 The MGC Civil team had to divert a natural flowing creek that feed into the Swan River, removal of unsuitable spoil containing acid sulphates, dewatering due to the high water table. 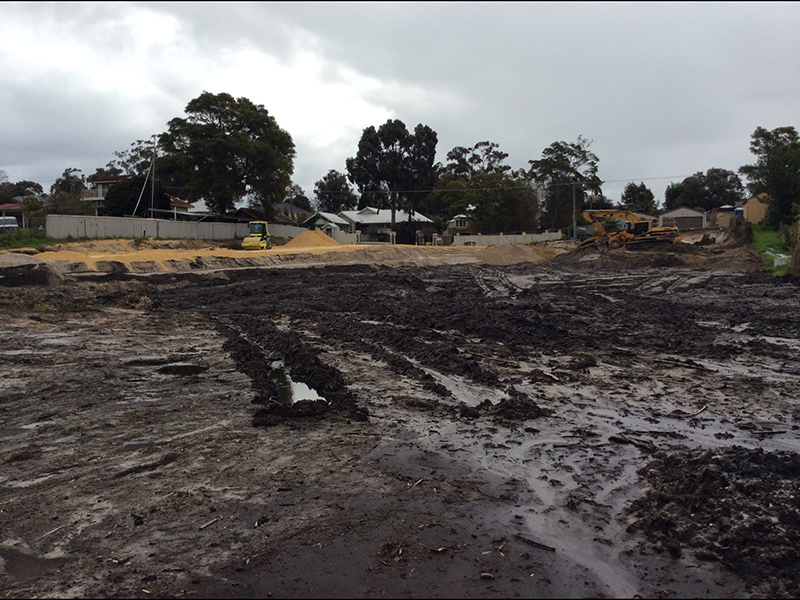 The MGC Civil team were in constant consultation with the Swan River trust, DER and the City of Bayswater due to the close proximity to Swan River and adjoining neighbours.